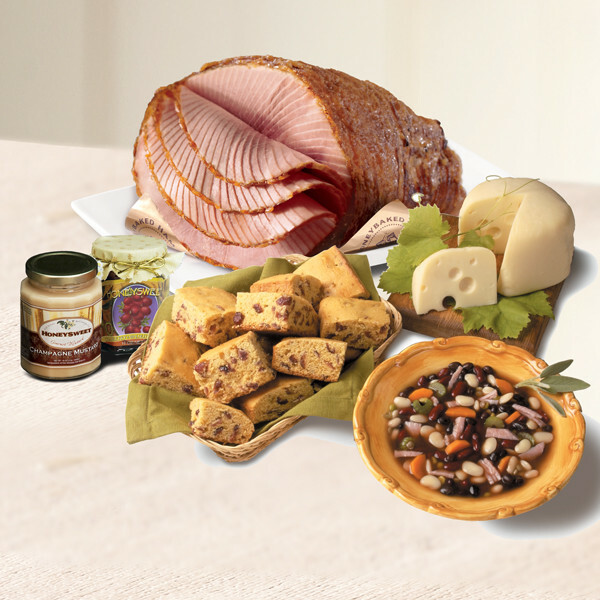 Warm their hearts and their bodies with this delicious combination of our favorites. Our Baby Swiss Cheese makes a great companion to the 7 lb. ham at a buffet or for incredible Ham & Swiss sandwiches with the leftovers. Our hearty soup can be used at the meal or with the hambone to extend the joy of the ham and make an incredible soup for those chilly winter nights.